On Friday 24 November 2017, an attack by some 30 men on a mosque at Bir al-Ald in the Sinai Peninsula left 305 dead among them women and children. 128 were wounded. Some of the wounded may not survive. 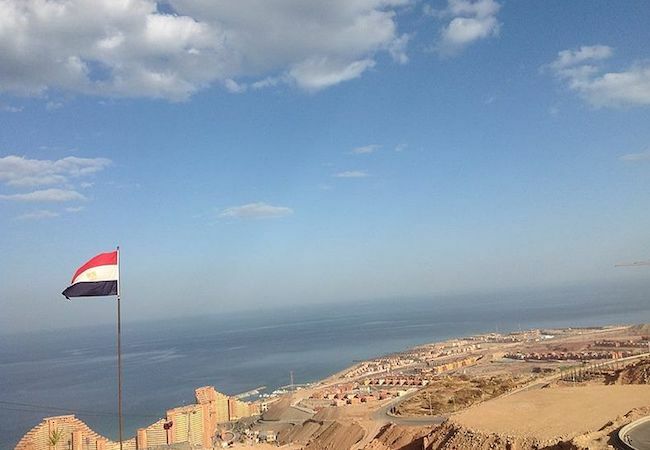 The Sinai Peninsula has been an area of instability and lawlessness at least since 2013 when the Egyptian military ousted President Mohammed Mossi who had been backed by the Muslim Brotherhood. This is the deadliest attack in Egypt in recent times on a mosque related to a Sufi order. Thus, it merits close attention as it seems to be a part of an anti-Sufi wave seen in Pakistan, Egypt, in Afghanistan when under the control of the Taliban, and in northern Mali. For the moment, no group has officially claimed responsibility for the attack, but some of the attackers were waving the black flag of the Islamic State (ISIS). Although they use a common name, and there is probably some networking, it is not clear that ISIS in Syria and Iraq is directly related to the faction in Sinai. Some observers think that as ISIS loses territory in Syria and Iraq, they will shift their attention (and fighters) to other areas such as Sinai where the mountains provide shelter. While not giving into “conspiracy theories” which see a “hidden hand” behind separate events, the anti-Sufi killings and destruction of shrines in Pakistan, Afghanistan, Egypt, and northern Mali are too similar and the justifications given for the attacks so much the same, that one can make a hypothesis that there is a centralized organized effort with money to promote its anti-Sufi ideology. The question is “who is pulling the strings” and is there anything that we who favor religious liberty can do about it? At different times and places in the Islamic world, there have been tensions between the more narrowly legalistic currents and the more mystical approach of the Sufi. There has been prosecution of individual Sufi teachers and efforts to prohibit music and dance which are elements of Sufi practice. However, the scale of the current attacks is much greater and wider spread than in the past. This leads one to think that there is a coordinated effort and not a spontaneous “fundamentalist” reaction or a “copycat” pattern. Saudi Arabia and the Gulf States have been the most active promoters of a legalistic and thus anti-Sufi forms of Islam. However, it is hard to see the interest of the Saudi government in increasing intra-Islamic currents in Pakistan and Egypt. This does not rule out that people with money in Saudi Arabia and the Gulf States are providing money without anti-Sufi activity being government policy as such. The same holds true for Iran which pushes its own schools of Islamic practice. While Sufi influences have always been strong in Iranian thought, the current government does not encourage Sufi movements at home or abroad. It is true that the Sufi currents represent counter-currents to the narrow fundamentalist ideologies of both Saudi Arabia and Iran. However, while both Saudi Arabia and Iran have transnational structures and organizations to support their policies, the Sufi movements are often very local and are certainly not structured as world organizations supported by governments. The Sinai attack may be an indication that the anti-Sufi wave is growing stronger and may spread. Thus if we are to defend religious liberty and a willingness to live in a cosmopolitan world society with a variety of belief systems, we need to be aware and to start building “wave breakers”. The largest stone in building a wave-breaking wall is article 18 of the Universal Declaration of Human Rights which also became article 18 of the International Covenant on Civil and Political Rights which affirms the right of everyone “to freedom of thought, conscience and religion”, to change one’s religion or belief and either alone or in community with others and in public or private, to manifest one’s religion or belief in teaching, practice, worship and observance. Thus anti-Sufi acts and the justification of such acts would come under the mandate of the Special Rapporteur. In practice since 1987 and the first report, nearly all the information has been provided by NGOs. This also holds true for the oral statements on the issue made in the human rights bodies which met in Geneva. The most frequent statements concern the policy and practice of governments toward religious bodies or groups. Government delegates always have a “right of reply” to NGO statements. I would always give my statement several days in advance to the government delegate so he would not be surprised and could make a reasoned reply. In some cases, persons were released from prison so that I would not have to make my statement. In the case of the anti-Sufi acts and statements, it is more difficult to find the appropriate focus since we are not dealing with a stated government policy or government actions. Often conflicts draw little attention from outside peacemakers until a certain threshold of violence is reached. The attack on the Egyptian mosque may be such a threshold. We have to try to see storm waves before they get too high. We need to continue to watch the waves and to reinforce the wave breakers.